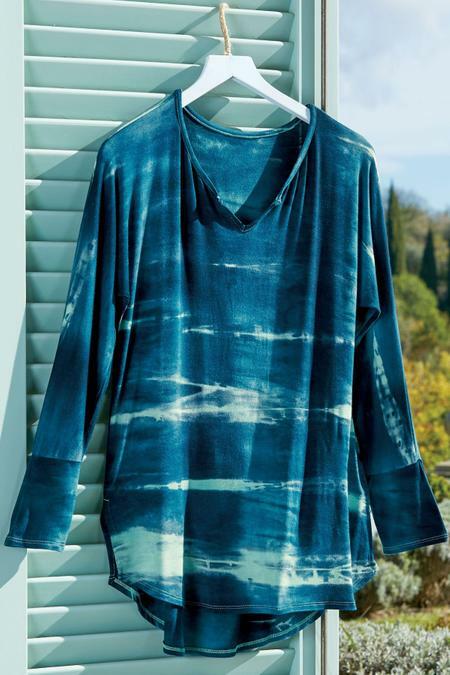 Hand tie-dyed for unique shading, this knit tunic with notched scoop neck has a longer back hem and side slits. Rayon/spandex. Misses 28"/31" long.